Toronto Public Health is advising anyone who consumed food or beverages at the Calii Love kiosk located at Union Station between May 14 and 29, and on June 8 and 9, between the hours of 11 a.m. and 4 p.m. on any of these dates, that they may have been exposed to hepatitis A. An employee of the restaurant has a confirmed case of hepatitis A that was likely acquired during travel to another country. While the risk of getting the infection through consuming food from this kiosk is low, individuals who visited this restaurant during those dates and times should watch for signs and symptoms and practice thorough hand washing. • Wednesday, June 13 from 3 to 7 p.m.
• Thursday, June 14 from noon to 6 p.m. The hepatitis A vaccine is most effective when received within 14 days of exposure. Those individuals who may have been exposed more than 14 days ago should watch for signs and symptoms of hepatitis A and seek medical attention should any symptoms develop. Symptoms can begin 15 to 50 days after becoming infected. 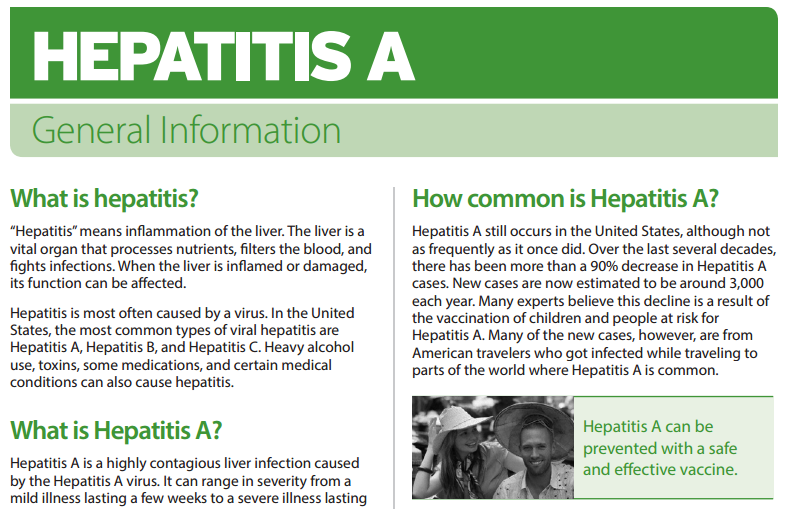 Hepatitis A is a virus that can cause liver infection. Symptoms can last a few days to several months. Most people who are infected recover completely. It is also possible to be infected and not have any symptoms. For symptomatic individuals, the severity of symptoms can range from mild to severe. Common symptoms of hepatitis A include fever, tiredness, loss of appetite, nausea/vomiting, dark urine, stomach pains and jaundice (yellowing of the skin).